Over the next 20 years, the government of Flanders plans to invest EUR 400 million in combination with technology developed in the region to push boundaries in the field of CCS (carbon capture and storage) and CCU (carbon capture and utilization). Flanders’ Minister of Innovation has dubbed the initiative a “moonshot”. The chemical sector in Flanders operates at the highest technological level, which makes this research key to reducing the industry’s CO2 emissions. As carbon-free industry is infeasible, securing its future in a climate neutral 21st century requires new ways of capturing and reusing all emitted CO2. In addition to contributing to a climate neutral future, by acting themselves, industrial firms in Flanders can avoid paying more taxes, which is already the case in the Netherlands, for instance. “We need to continue to search for new technologies, products, processes and resources,” says Wouter De Geest, CEO of BASF Antwerp and president of Voka. The big challenge is now to reuse CO2 to generate economic value and reduce the costs of the capture process. “The technology already exists, CO2 can be converted into methanol for maritime transport and long-distance transport. It can also be used to produce chemicals and foam mattresses,” states Metin Bulut, an expert at VITO – the institute for technological research in Flanders. The priority is now to optimize, scale up and lower the costs of the technology that is already in use. The government’s EUR 400 million investment supports the higher education institutes, research institutions and companies that contribute to these objectives. 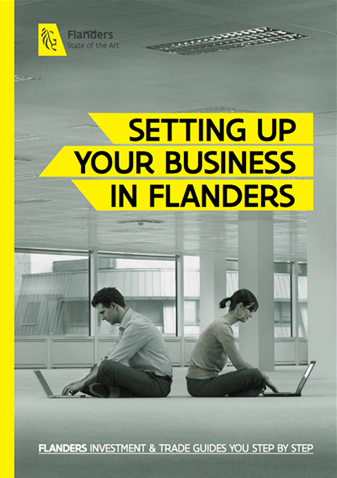 Find out more about research and innovation in Flanders.